Four DePaul University students have been charged after an investigation into the illegal sale of prescription drugs near the North Side campus. 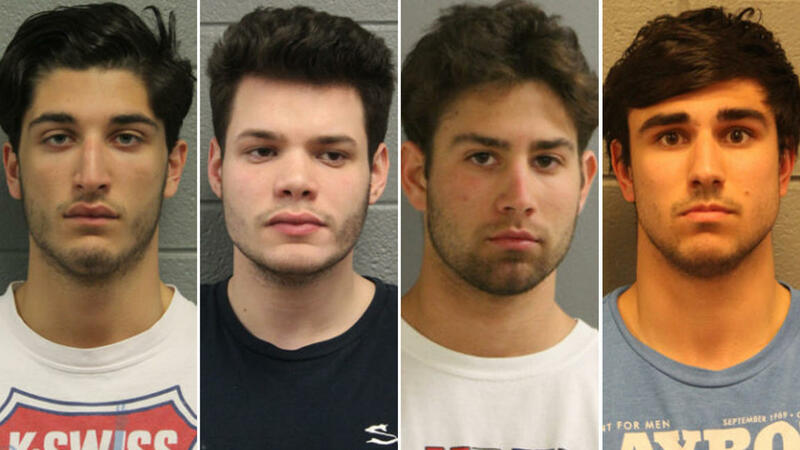 Chad J. Yale, 20, Cole D. Hanusa, 20, Marc Anthony Randazzo, 21, and Paul Fontana, 20, were all charged with felony manufacturing and delivery of a controlled substance near a school or park, Chicago police said. The four were ordered held in lieu of $10,000 bail Wednesday during a hearing at the Leighton Criminal Court Building, records show. They are scheduled to appear in court again on April 17. The four were arrested Tuesday afternoon near the Lincoln Park campus after some or all of them sold the drugs to undercover Chicago police officers, police said. The officers purchased from the men a little more than 100 Xanax pills — a drug commonly used for anxiety and depression — during the probe, police said. Two of the men were arrested in the 2400 block of North Seminary Avenue, just north of where several classroom buildings and dormitories are located, and the two others were taken into custody in the 2200 block of North Lincoln Avenue, police said. Yale is of the 2400 block of North Seminary Avenue, Hanusa and Fontana are of the 2200 block of North Lincoln Avenue and Randazzo is of the 2300 block of North Wayne Avenue. A DePaul spokeswoman confirmed the four are all students at the university. Yale is on DePaul’s hockey team. Neither the spokeswoman nor police could provide further information.